1. Why do broiler farming ? Poultry meat is an important source of high quality proteins, minerals and vitamins to balance the human diet. Specially developed breeds of chicken meat (broiler) are now available with the ability of quick growth and high feed conversion efficiency. Depending on the farm size, broiler farming can be a main source of family income or can provide subsidiary income and gainful employment to farmers throughout the year. Poultry manure has high fertilizer value and can be used for increasing yield of all crops. v) Broilers have high feed conversion efficiency i.e. least amount of feed is required for unit body weight gain in comparison to other livestock. India has made considerable progress in broiler production in the last two decades. High quality chicks, equipments, vaccines and medicines are available. Technically and professionally competent guidance is available to the farmers. The management practices have improved and disease and mortality incidences are much reduced. Many institutions are providing training to entrepreneurs. The broiler population has increased from 4 million in 1971 to 700 million in 1998. An average annual growth rate of 20% was estimated during the eighth five year plan (1992-1997). Increasing assistance from the Central/ State governments and poultry corporations is being given to create infrastructure facilities so that new entrepreneurs take up this business. Broiler farming has been given considerable importance in the national policy and has a good scope for further development in the years to come. 3.1 NABARD is an apex institution for all matters relating to policy, planning and operations in the field of agricultural credit. It serves as an apex refinancing agency for the institutions providing investment and production credit. It promotes development through formulation and appraisal of projects through a well organised technical services department at the Head Office and technical cells at each of the Regional Offices. 3.2 Loan from banks with refinance facility from NABARD is available for starting broiler farming. For obtaining bank loan, the farmer should apply to the nearest branch of a commercial or cooperative or regional rural bank in their area in the prescribed application form which is available in the branches of financing bank. The technical officers attached to or the manager of the bank can help or give guidance to the farmers in preparing the project report to obtain bank loan. 3.3 For poultry farming schemes with very large outlays detailed project reports are required to be prepared. The items of finance would include construction of broiler sheds and purchase of equipments. Cost of one day old chicks, feed, medicine and labour cost for the first 7 weeks period for the first cycle, are also considered. Facilities such as land development cost, fencing, water and electricity, essential servants quarters, godowns, transport vehicles, broiler dressing, processing and cold storage facilities can also be considered for providing loan. Cost of land is not considered for loan. However, if land is purchased for starting a broiler farm, its cost can be treated as party's margin money upto 10% of the total cost of project. 4.1 A scheme can be prepared by the beneficiary after consulting local technical persons of State veterinary department, poultry corporation or private commercial broiler hatcheries. If possible, they should also visit the progressive broiler farmers in the area and discuss the profitability of farming. A good practical training and experience on a broiler farm will be highly desirable, before starting a broiler farm. As broilers have to be sold after attaining 6-7 weeks of age, a regular and constant demand for broiler meat and nearness of the farm to the market should be ensured. 4.2 The scheme should include information on land, water and electricity facility, marketing aspects, training facilities and expertise of entrepreneurs and the type of assistance available from State government, poultry corporations, local hatcheries. It will also include data on proposed capacity of the farm, total cost of the project, margin money to be provided by beneficiary and requirement of bank loans, estimated annual expenditure, income and profit and the repayment of loan and interest. A format developed for formulation of broiler farming schemes is appended as annexure I. The bank officers also can assist in preparation of the scheme or filling in the prescribed application form. The scheme so formulated should be submitted to the nearest branch of bank. The bank will then examine the scheme for technical feasibility and economic viability. (c) Output costs i.e. sale of broiler for meat, manure and other miscellaneous items. Other documents such as loan application forms, security aspects, margin money requirements etc. are also examined. A field visit to scheme area is undertaken for conducting techno-economic feasibility study for appraisal of the scheme. The model economics of Broiler farming unit of 4000 birds is given in Annexure IIa to IIf. After ensuring technical feasibility and financial viability, the scheme is sanctioned by the bank. The loan is disbursed in kind in 2 or 3 stages, such as against the creation of specific assets, construction of sheds, purchase of equipment and machinery, recurring cost on purchase of chicks, feeds, medicines, etc. The end use of the loan is verified and constant follow up is done by the bank. Each Regional Office (RO) of NABARD has constituted a State Level Unit Cost Committee under the chairmanship of RO-in-charge and with the members from developmental agencies, commercial banks and co-operative banks to review the unit cost of various investments once in six months. The same is circulated among the banks for their guidance. These costs are only indicative in nature and banks are free to finance any amount depending upon the quality of investment. NABARD has defined farmers into three different categories and where subsidy is not available the minimum down payment as shown below is collected from the beneficiaries. Banks are free to decide the interest rates within overall RBIguidelines. However, for working out financial viability and bankability of model project, we have assumed rate of interest as 12% p.a. Security will be as per NABARD/RBI guidelines issued from time to time. The loan repayment is determined, on the basis of gross surplus generated in the scheme. Usually the repayment period of loan for broiler farming is 5-6 years. The birds and other assets (poultry sheds, equipment) may be insured.Whereever necessary Risk/Mortality fund may be considered in lieu of poultry insurance. Select well raised land for poultry sheds. Land with hard rock or murram is more suitable. Avoid water logging and flooding near the sheds. Ensure adequate facility for water, electricity, approach road, supply of chicks, feed, veterinary aid and nearness to market for sale of live birds and dressed chicken. Obtain training/experience in broiler farming before starting a farm. You should be prepared to stay on the farm and have constant supervision. Provide adequate floor space, feeding space and watering space per bird (see details in Annexure III). BIS specifications for construction of poultry sheds are available. Construct sheds in such a way that the end walls face East-West direction and the side walls face North-South direction, so that rain water will not enter the sheds. Provide strong roof and hard flooring. Raise plinth of the shed at least one feet above the outside ground level. Provide 3 to 4 feet overhang of the roof to avoid entry of rainwater inside the shed. Provide at least 50 feet distance between two sheds. Provide adequate light and ventilation and comfortable housing conditions during all seasons (cool in summer and warm in winter). Construct sheds in such a way that predators (cats/dogs/snakes) will not enter the shed. Avoid entry of rats by constructing rat proof civil structures. Keep the shed clean and free from flies/mosquitoes etc. After disposal of every batch of birds the dirty litter material and manure should be removed, walls and floors should be cleaned, white washed with lime and disinfected with 0.5% malathion or DDT insecticide spray. If deep litter system is followed, always use dry and clean litter material (sawdust, paddy husk, etc.). Spread 4" layer of litter on the floor, keep clean/disinfect brooding, feeding and watering equipment and then introduce chicks in the house. The litter material should be always kept loose and dry. Stir the litter twice a week. Any wet litter/droppings etc. should be removed and replaced with fresh/clean dry litter. 15. Use scientifically designed cages and equipment for brooding, feeding and watering purposes. BIS specifications for equipment are available. A good design can be shown and manufactured locally, so that cost can be reduced. 16. Purchase of improved strain of one day old healthy broiler type chicks from a reputed hatchery. 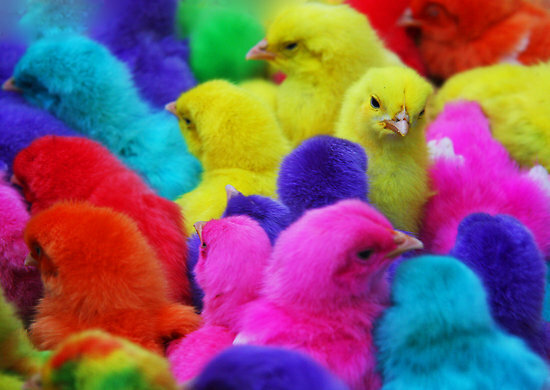 Usually 2-5% extra chicks are supplied. 17. Clean, wash and disinfect all equipments with 0.5% malathion spray after every batch of birds is disposed off. 18. Use high quality balanced feeds. With proper knowledge/experience, the feed can be prepared at the farm. Feed requirements of birds are shown in Annexure IV. BIS feed formulae and specifications are available. Composition of some of the practical broiler diets is given in annexure V.
19. Store the feed in clean, dry, well ventilated room. A wet feed may bring fungus infection. 20. Use properly designed feeders and control the rats to avoid feed wastage. 21. Keep proper records on feed consumption per bird for each batch. Compare with the standard feed consumption pattern. Too low feed consumption may be due to disease condition, low quality/unpalatability of feed, high temperature in poultry shed. 22. Always give fresh and clean drinking water. Water should be always available at birds. 23. Use properly designed watering equipment. Provide adequate watering space per bird (for details see Annexure - III). 24. Always keep water-pots clean. Avoid birds entering inside pots. 25. Provide cool water during summer. Store the water in tanks that are not exposed to hot sun in summer. 26. Clean sanitary conditions of poultry sheds and equipment, balanced feed, fresh clean water, healthy chicks are essential to prevent diseases. 27. Avoid entry of visitors to farm, especially inside the sheds. If visitors come, ask them to dip their feet in a disinfectant solution, wash and clean hands and to wear apron/boots provided by the farm. 29. Use high quality vaccines purchased from reputed manufacturers. Keep vaccines in cool, dry conditions away from sunlight. 30. Any left-over vaccine should be properly disposed off. Vaccines should not be used after their expiry date is over. 31. Any dead bird should be immediately removed from the shed and sent to laboratory for post-mortem or buried/burnt suitably away from the poultry sheds. 32. The waste of farm should be suitably disposed off. 33. Any bird showing advanced signs of a disease, should be removed from the shed and culled. It can be sent to laboratory for diagnosis. 34. Birds showing advanced signs of a disease should be shown to a qualified veterinarian and suitable medication/treatment be given as per his/drug manufacturers recommendations. 35. Poultry manure, if infected, can spread disease, from one batch to another. Keep the litter dry, remove it after flock is sold and dispose the manure properly and quickly. 36. Keep proper records on mortality and its causes and the treatment given to birds. Dates of vaccination for each flock should be properly recorded. 37. Rats are important carriers of poultry disease. Avoid rats. Use suitable rat poisons/rat traps. 38. Many poultry medicines can be given in drinking water. When medication is to be given, remove the waterers in poultry sheds on the previous evening. Next morning give medicine in measured quantity of water, so that entire medicine will be quickly consumed and there will be no wastage of medicines. 39. Mild infection of disease may not cause mortality but it will reduce growth. Keep sample record of body weight and mortality rate. Study the possible causes, if weight is low take steps to improve the management of the subsequent batches. A Constant vigil and analysis of records/results is necessary to keep up the efficiency in farming. 40. Ensure the constant and steady demand for broiler meat is available and the market is nearer to the farm. 41. Study the market demand for particular live weight of the birds. 42. Birds should not be kept on the farm beyond 6-7 weeks of age, as their feed efficiency will go down considerably. 43. If birds are sold after dressing (processing) use clean dressing hall and processing equipment. Dressed birds should be chilled in the ice-cold water for 3-4 hours and excess water removed. Birds should then be packed in clean plastic bags and the mouth of bag sealed. 44. Processed birds should be marketed as early as possible. If they have to be preserved, deep freezing equipment (-10 to -200C) be used. Refrigerated vans may be required for long distance transportation. iv) Particulars of land development, fencing, gates etc. iii) Year - wise physical & financial programme. c) 3 HP electric motor/pumpset and other accessories and pipeline etc. only 40 batches will be introduced in first year. 3) The average value of the closing stock is considered at Rs. 35/- per bird. Note : Average loan period in first year is considered as 10 months for working out interest amount. * Premix added per 100 kg feed. Fowl pox Chick embryo adopted fowl 6-8 weeks of age Wing web method If the disease is prevalent in the area. Once vaccinated gives life long immunity. During chick rearing the disease most likely to occur is coccidiosis. Its organisms thrive on wet litter and so keep the litter dry. The feed mixed with coccidiosis should be used. In case of an outbreak, the Coccidiocidal drug in drinking water should be used at recommended level.